TIME TO GO OUT WITH A MASSIVE BURNOUT! We are hosting the very last EPIC “Blast to the Past” Night TIme Cruise In and we want to make sure that it is the LARGEST ONE we have ever had. 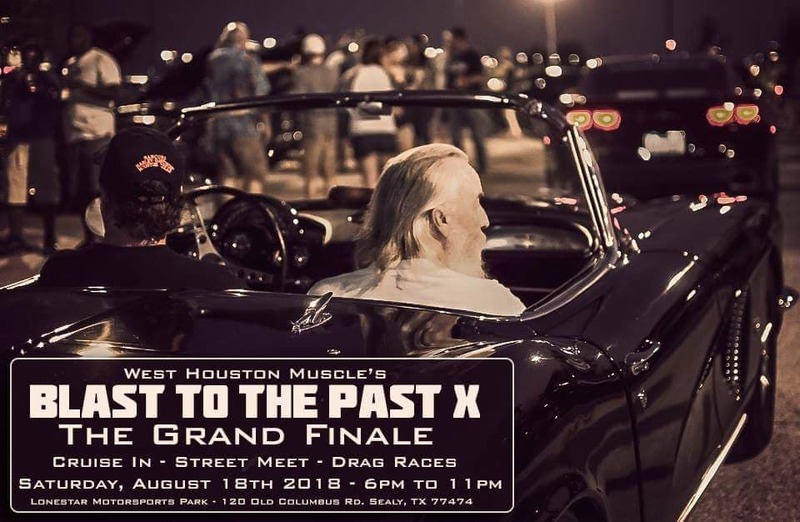 This is number 10 for us and it has been a great run of our extremely popular “Blast to the Past event” that features old school vs new school rides. Our attendance record has been 1,200+ cars and we are certain we can beat that! A lot more information is coming so make sure you RSVP Going and stay tuned for some exciting announcements!! For sponsorship/vendor opportunities please message us on Facebook, email us at Contact@WestHoustonMuscle.com or Call Sean at 281-829-8825.